It was hard not to put this shoe even higher on the list, but the next two shoes narrowly edge it out. 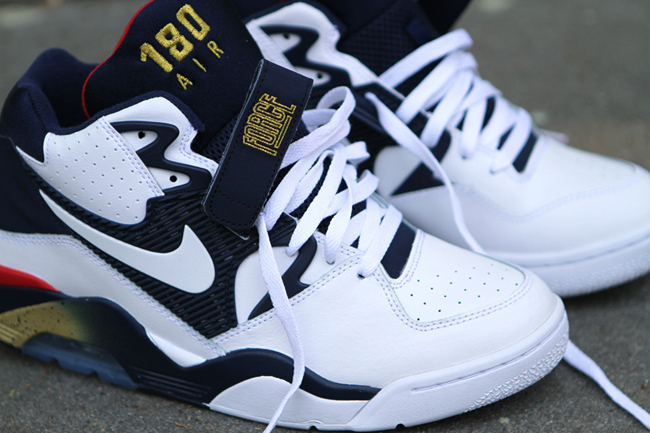 Barkley’s Air Force 180 is one of the best basketball shoes of the early 90’s and the Olympic colorway is the best of them all. With Nike’s biggest visible Air unit to date and mid-foot strap, the Air Force 180 was primed and ready for the all-time greatest basketball team’s leading scorer.